Every year in mid-September, the ice in the Arctic Ocean reaches its lowest point. But 2018 was different. The oldest and strongest Arctic sea ice has already begun to melt and break up for the first time on record, just north of Greenland. As that record was broken, the first large-scale Maersk cargo container ship was sailing the Arctic. And the Chinese shipping company Cosco has sailed its maiden Arctic voyage, sending cargo for the first time from Asia to Europe on China’s newly proclaimed “Polar Silk Road” along the Northern Sea Route. At the same time, wildlife such as whales, seals, walrus and polar bears were also in the Arctic feeding. My relatives on St. Lawrence Island were partaking in summer subsistence activities. During the height of summer, when life abounds in this remote region due to the lowest extent of Arctic sea ice, I am reminded of what my Arctic leaders called for at the Inuit Circumpolar Council (ICC) back in mid-July. I was able to attend the ICC meeting in my capacity as senior oceans campaigner for Friends of the Earth. So, I went to Utqiaġvik for the first time in my life — despite the Barrow Whalers being sports rivals with my high school alma mater, the Dillingham Wolverines. 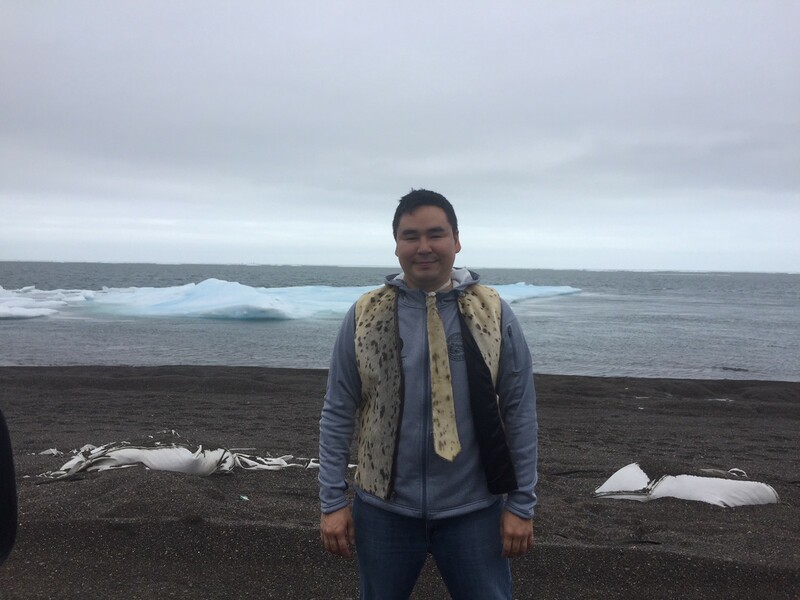 Senior Oceans Campaigner Verner Wilson III wears his family-made Siberian Yup’ik traditional clothing in Utqiagvik, Alaska during the Inuit Circumpolar Council 2018 General Assembly meeting, with the Arctic Ocean in the background. FoE is working to protect the pristine Arctic from shipping pollution. The ICC brings together Inuit leaders — some of them my friends and relatives — from Russia, Alaska, Canada and Greenland every four years at its quadrennial General Assembly meeting. This year was the 40th anniversary of this important gathering, which started in Utqiaġvik itself in 1978. At the meeting, we discussed important issues for our people, such as sustainable development, environmental protection, community well-being and continuing the foundations of our ancestors that have allowed our people to survive in the Arctic for thousands of years. I was especially grateful that ICC took substantive action on Arctic shipping issues. They moved toward efforts to advance self-determination, food security and food sovereignty. 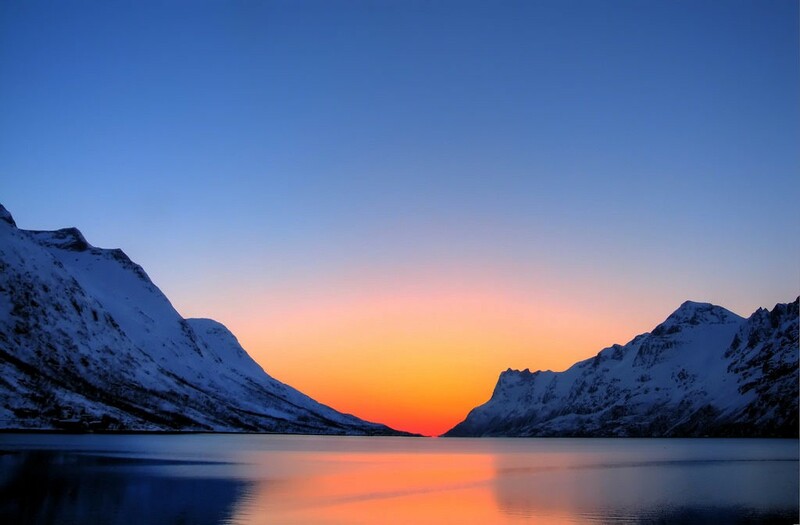 They envisioned “The Arctic We Want” with the Utqiaġvik Declaration, vowing to be more involved at the International Maritime Organization and to phase out use of heavy fuel oil in the Arctic. I discussed with old and new friends the increased shipping in the Arctic that has allowed more cargo, cruise, research and other ships to enter. I was glad to be part of it. I listened to many great speakers at the conference and heard many powerful ideas. These speakers brought up the dangers heavy fuel oil (HFO) can have in our communities and waters, and why we should create ways to get rid of HFO. Pollution threats from HFO tie into the very fiber of our lives — affecting our access to healthy wildlife for food and the quality of our lands. The discussion of HFO even bleeds into related factors, like our right to have a voice in the HFO discussion and our inclusion in such matters. Dalee Sambo Dorough, a fellow Alaskan, was elected the new ICC chair. This is exciting, as Dalee has an inspiring educational background in international affairs. We also heard from Nicole Kanayurak of ICC Alaska. Nicole is a youth representative who says future generations of leaders like her will work hard to be directly responsible for stewarding our lands and waters amid increased development, such as shipping. Many other speakers and contributors shared their thoughts on the issues of our day. Mary Simon, from Ottawa and part of ICC Canada, stated that Inuit are seeing changes. She said that this year the maximum sea ice extent is the second lowest on record. More ships are coming to the Arctic, she said, and because of that, Inuit must be fully consulted and part of all discussions. She also said Inuit are working at the International Maritime Organization to consider a ban on heavy fuel oil in the Arctic shipping fleet. Inuit are willing and ready to work with governments and be part of inter-governmental organizations as they do with the Arctic Council. Part of the goal of Inuit working with the IMO and others within industry and conservation organizations, Mary said, is to make sure indigenous people are ready for the changing circumstances. She said Inuit will partner with those who respect our indigenous knowledge. Together, we will find solutions to adapt, support our youth, build strong sustainable communities and continue to get nourishment from our environment. She also said that people should consider creating “Indigenous Protected Areas,” or IPAs, that would be protected areas with ecological or biological significance. Wayne Westlake of NANA, a Native Corporation serving indigenous Northwest Arctic people, noted China’s interest in access to resources, including fisheries and shipping. Yet Wayne cautioned that increased traffic and ships could bring oil spills, which would affect the sea mammals our people depend on. Inuit must talk with one voice, Wayne said. It is up to our people to protect our environment, he pointed out. Austin Ahmasuk of Kawerak Inc., an Alaska Native non-profit, said his Bering Strait region has already been affected by HFO. His organization did tests and found HFO in tissues of marine mammals, but did not know where the HFO came from. Austin noted that this past year, there was a tanker near St. Lawrence Island holding up to 420,000 gallons of HFO. Ships carrying this amount or more are already traveling Arctic waters, he said. HFO is the dirtiest fuel that ships can burn. It would be devastating to my relatives if this fuel spilled near their homeland. Yet there has already been an HFO spill in Alaska, Austin said, on Shuyak Island near Kodiak. The spill was about 3,000 gallons, but it took 54 people over seven weeks to clean up — despite it being near a Coast Guard station. Arctic Alaska does not have any such stations. 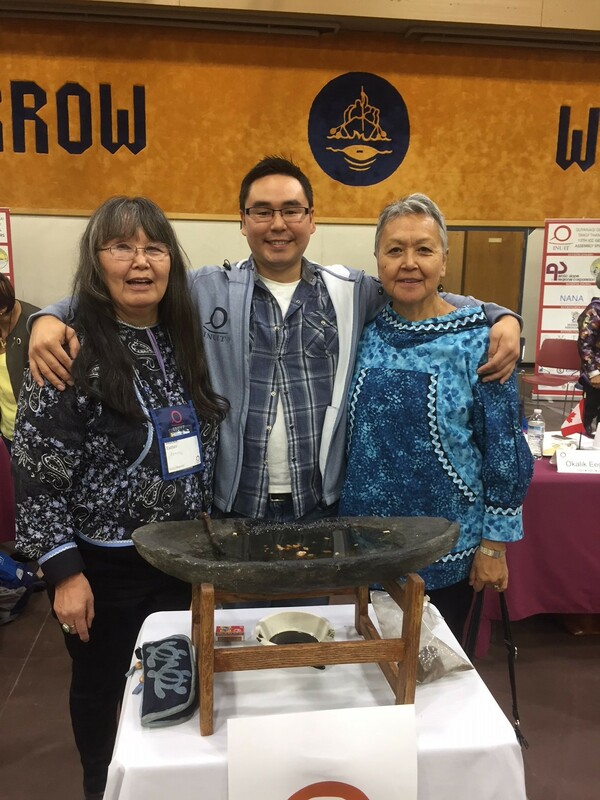 Verner, with Esther Ilutsik of Bristol Bay and ICC Alaska Vice Chair Vera Metcalf. Austin also recalled our trips together to IMO, and said that while we have enjoyed some success, Arctic indigenous people are still not participants at IMO. He spoke of my efforts in my previous position at Bristol Bay Native Association to be part of the U.S. delegation to IMO. The Trump Administration denied me involvement. Only through environmental partners have Arctic Indigenous peoples been able to observe the IMO, such as through my involvement with Friends of the Earth. Inuit leaders also spoke about the Nunavut Agreement at ICC and the need to be heard on shipping issues. The Inuit are extremely knowledgeable about their own waters and their own environment, and that’s why we must continue with international cooperation: to advance our shared vision of a peaceful, prosperous and sustainable Arctic. Witnessing history in the making at ICC was groundbreaking for me. I was glad to have attended, and am hoping that my tribe, Curyung Tribal Council, will urge Bristol Bay Native Association and Corporation to join ICC to be part of these important discussions in the future. I am getting ready for the IMO Marine Environment Protection Committee meeting in London later this month. Much will be happening. Talks about the next step in phasing out use of heavy fuel oil in the Arctic. A weeklong Arctic Indigenous photography exhibit at IMO’s headquarters, which will help country delegations understand more about our unique way of life. And, Arctic Indigenous side events at the U.K. Parliament and the IMO Plenary. I am very thankful to be part of history in the making during this year of records in the Arctic. I hope to continue to encourage others to protect our people, our environment and our way of life.